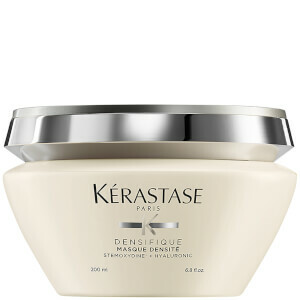 Kérastase Densifique Fondant Densité is a lightweight conditioner that will improve the appearance of thinning or fine hair. 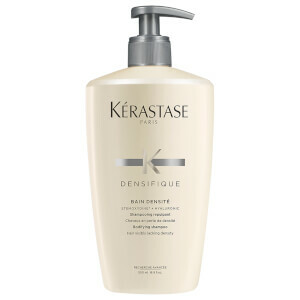 The silky-textured treatment conditioner instantly detangles and boosts hair volume without weight or stickiness. The advanced formulation contains Hyaluronic acid, a naturally occurring hydrating mineral, creating plump hair fibers and Intra-Cylane®, minerals that strengthen the hair follicle structure. Hair is left silky and strong with increased volume and texture. Use a quarter-size quantity to wet, shampooed hair. Smooth through, from mid-lengths to the ends. Leave in for 2-3 minutes before rinsing thoroughly.